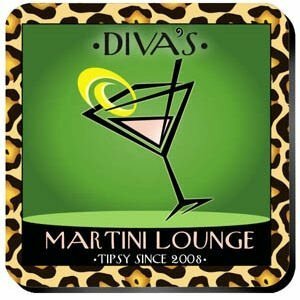 A leopard print border makes these coasters stand out on your bar! Fun and hip, they'll look great in your Martini Lounge and will protect your furniture at the same time. The leopard print sets these coasters apart. Specify personalization information for this unique set of coasters during the checkout process. Full color design is printed on a cork base for extra protection.